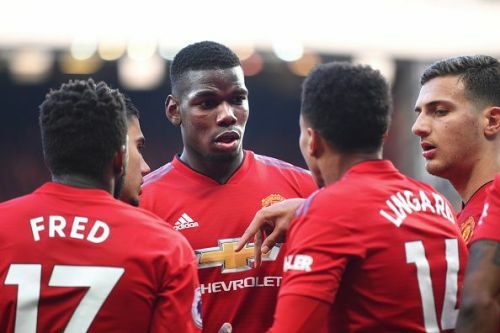 Reports from English media have claimed that Manchester United will welcome at least three players back ahead of their Champions League quarter-finals clash against FC Barcelona on Tuesday night. Barcelona defeated Manchester United in the first leg of UEFA Champions League 2018-19 quarterfinals with a narrow 0-1 scoreline. On that night, Manchester United's left-back faced his 3rd yellow card of the competition as the Englishman will miss the second leg at Camp Nou. According to the reports, Manchester United's long term absentee, Alexis Sanchez is back and has started to train with the main team, while the boss is not concerned about Ander Herrera's availability. Senior players like Ashley Young and Nemanja Matic are set to make their return into United's main squad with 30-year-old Chilean winger. Manchester United somehow managed to beat West Ham United in their last Premier League fixture with a narrow 2-1 scoreline. In this match, the Manchester United right-back was out of the squad due to a domestic ban. The likes of Alexis Sanchez, Ander Herrera and Nemanja Matic were out of the main squad due to their respective injury issues. "Nemanja will travel with us definitely. Ander won’t, he is out for a little while." "You look at the quality of those players and that gives us a threat. We carry a goal threat but, of course, what we did against PSG as a team must give everyone a huge confidence boost, because that experience was probably the best they have had for many years, those players. And they are probably dreaming about another one of them again at the Camp Nou." The Norweigan then expressed his views on that nostalgic 1999's night at Barcelona, where Ole's last-minute dramatic goal crowned United as the champions of the elite tournament. "We didn’t play against Barcelona, I won’t [talk about '99 to the players] because it was against Bayern Munich, it was a final, it was different. We will use the PSG, we will use the Juventus away." Manchester United will face FC Barcelona on Tuesday night at Camp Nou. United need to score only two more goals than the home side to make their progress into the semifinals.